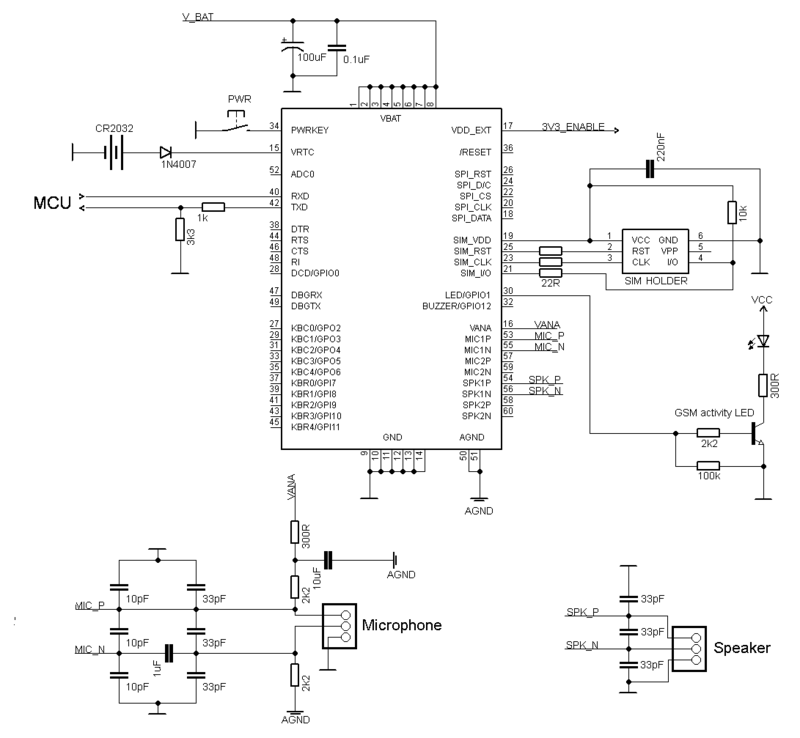 AvrPhone is a simple mobile phone with touch screen and SIM100S GSM module (by SIMCom). 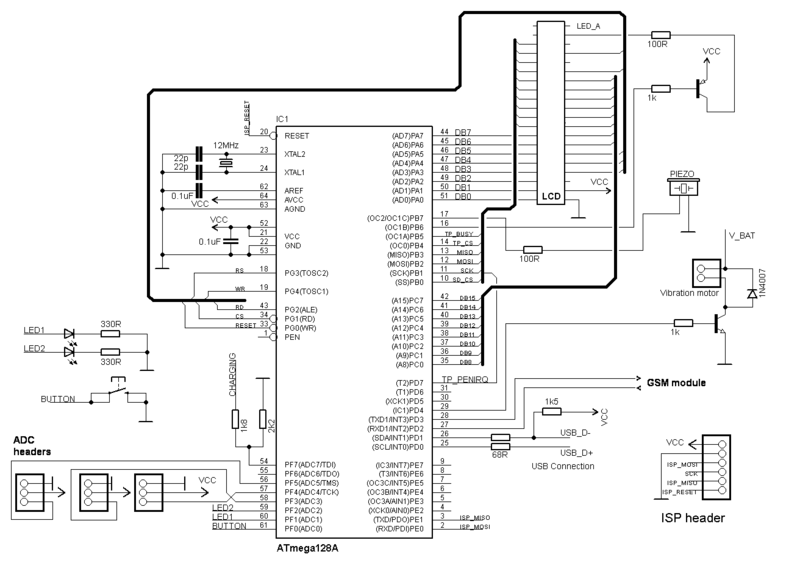 It's brain is the Atmel AVR ATmega128A microcontroller (128 kB Flash, 4 kB SRAM). The display is 2,4“ LCD with a resistive touch screen and ILI9325B driver (16 bit parallel bus). 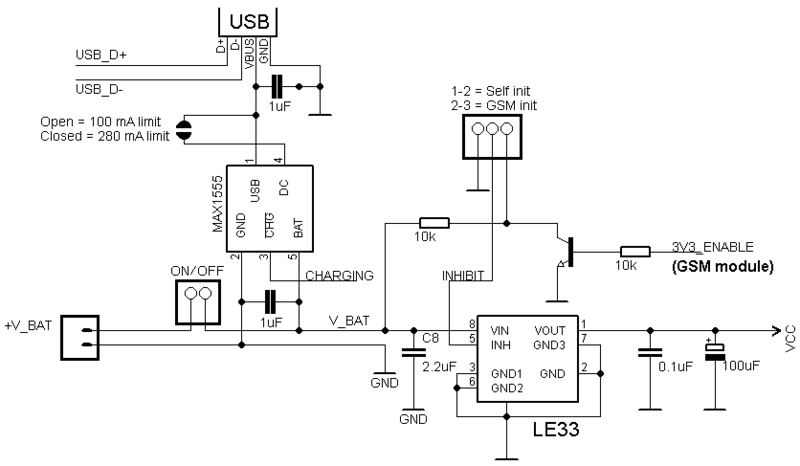 The whole system is powered by 3.7V/1000mAh Li-Pol cell. The LCD breakout board contains SD card slot and XPT2046 touchscreen controller. They both are connected to AVR's SPI bus. The phone was presented in SOČ 2011 student competition held in the Czech republic as Mobilní telefon s dotykovou obrazovkou (PDF, 13 MB - in Czech language). The phone was tested on a breadboard. This might have been the world's biggest and the most immobile phone with touchscreen I had to make some breakouts for SIM100S or for LE33 LDO stabilizer in SMT (since non-SMT version doesn't have the inhibit pin, which is used for turning the LCD and AVR on when button is pressed).